HHI is supporting maternity care hospitals statewide through the Baby-Friendly Hawaii Project (BFHP)*. BFHP aims to increase the rate of women who exclusively breastfeed throughout their hospital stay and at discharge, by supporting hospitals to implement best practices in infant feeding using the “10 Steps to Successful Breastfeeding”. The ultimate goal for hospitals is Baby-Friendly designation, as defined by the Baby-Friendly Hospital Initiative (BFHI) standards, an international set of guidelines developed by the World Health Organization and the United Nations Children’s Fund. For more information on the BFHI standards, please visit Baby Friendly USA. Eleven of the twelve maternity care hospitals in Hawaii are currently participating in the BFHP, and several have already begun the path to Baby-Friendly Hospital designation. 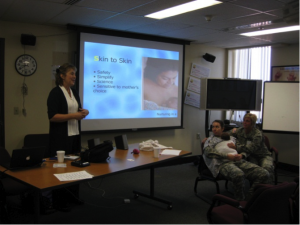 The PAN Program provides technical assistance and trainings to staff in hospitals throughout Hawaii, and assists birthing centers in creating policies that reflect best practices in maternity care. It also designed a survey for hospitals to gauge readiness of staff to support the “10 Steps to Successful Breastfeeding”, and provides evaluation and reporting to hospitals that complete the survey. The program also funds hospitals seeking Baby-Friendly designation. * BFHP was initially funded through the American Recovery and Reinvestment Act (ARRA) from 2010-2013 and has continued through the Tobacco Settlement Special Fund. Breastfeeding helps protect against childhood obesity. Studies have shown that breastfeeding for 9 months reduces a child’s risk of becoming overweight by more than 30%. It is recommended that most babies be fed only breast milk for the first 6 months of life and continue breastfeeding for at least 12 months thereafter. 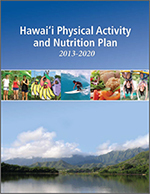 In Hawaii, 85% of babies initiate breastfeeding, but by 6 months only 51% are breastfeeding. Suboptimal breastfeeding in the United States results in an estimated $2.2 billion annually in additional direct medical costs. Due to the important health, psychosocial, environmental, and economic benefits, breastfeeding has been recommended by many prominent organizations, such as the Centers for Disease Control, World Health Organization, and the American Academy of Pediatrics. In 2011, the U.S. Surgeon General released a call to action outlining steps that can be taken to remove obstacles faced by women who want to breastfeed their babies. Recommendations for the healthcare sector include ensuring that maternity care practices throughout the United States are fully supportive of breastfeeding. Some hospital practices and policies in maternity settings can undermine maternal and infant health by creating barriers to supporting a mother’s decision to breastfeed. Facilities providing maternity care need to adopt evidence-based policies and practices to support breastfeeding. Government and public health agencies can help support hospitals by working with them to achieve improvements in policies and practices. These have the potential to improve exclusive and continued breastfeeding, thereby contributing to improved child health and lower rates of obesity.